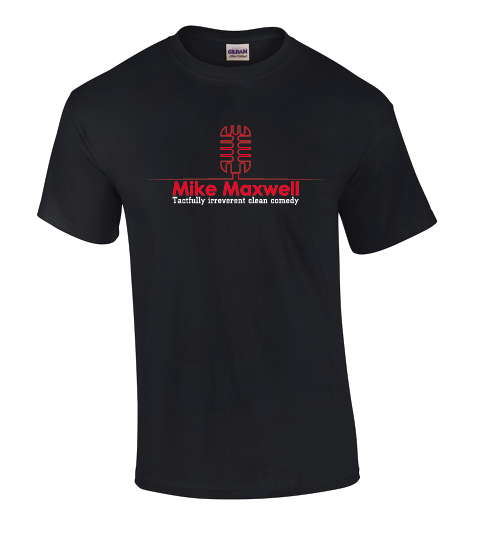 This comfy black t-shirt is a great way to remember that show you just went to where Mike Maxwell told some jokes you liked. That microphone and name logo is something that you can proudly sport by itself or you can get a bit subtle and have the logo peaking out from a shirt over it. Look, I’m not trying to dress you, well, actually it looks that way. Now, I can only assume you like most people look great in a black t-shirt.